Countless e-mails are sent every day. In a business context, there is often little or no training given in how to write them or use them efficiently. 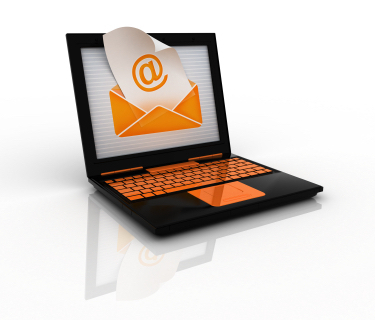 E-mail is mainly seen as a type of communication that falls between conversation and formal business writing. Consequently, many people feel that they can type their ideas in no particular order, with no stated objectives, no attention to grammar or punctuation, no quality control of the style or tone and no attention to the layout. They dash something off, send it too quickly and then are perplexed about why the e-mail does not generate the response they hoped for. It is also much too easy to copy any and everyone, making us all too familiar with the often confusing and overlong threads of e-mail conversations with multiple recipients and responders. Instead of just throwing up your hands and complaining about why people don’t read their mails properly, use our checklists to make you sure you get the response you DO want instead. Is e-mail the right medium or would it be better to talk on the telephone? Are you prepared to say your message face-to-face or for others to read it? If not, then you should probably not send it? Have you re-read your mail and checked grammar and spelling etc? Have you found the right tone? Will the meaning be clear to the reader? If replying to a mail, have you read it thoroughly and responded systematically to all points raised and requests given? Use a good subject heading and refresh it regularly. Be clear about the reason for the mail. Be specific and clear if you want the reader(s) to take any action or respond to any requests. Match the tone and style to the purpose of the mail (Hi or Dear…, First name or “Mr Smith”). Take out any previous replies/threads that may not be appropriate for everyone to see. Avoid long – threads: refresh and start a new e-mail after about the third message. Make sure only those who really need this mail have been copied. Explain why someone has been copied. Keep the mail itself short and concise, attach extra information and details as separate files. Check after sending (a day or two perhaps?) that you have achieved the outcome you want.